Do you have USAA auto insurance? Are you active duty or reserve military? Have you returned from an OCONUS deployment in the last six months? Do you have 5 minutes to answer a 10 question survey about your post-deployment driving habits? Then USAA wants to give you $25. The USAA page “Tips for Driving After Deployment” is in response to a 2010 Department of Veterans Affairs report that service members returning from deployment experience more traffic accidents. 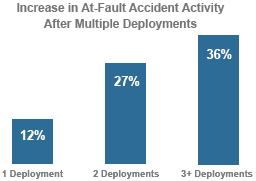 USAA conducted a study of their own and found that each deployment increased a service member's risk of an at-fault accident by 12%. Seeing as USAA has been serving the military community for over 90 years, (and they insure millions of military drivers), they decided to reach out to returning service members. The result is a 10 question survey that offers helpful tips to changing driving behavior that may have been ops normal in Afghanistan or Iraq, but isn't as safe back home in the States. I took the survey myself last week and while most of the questions weren't relevant (I've never driven in a convoy), it was still helpful to re-cage my driving behaviors after my most recent deployment. Not having driven a vehicle for 3 months meant I was quite rusty and it took a week for driving at speed to feel normal again. USAA deposited the incentive 3 days after I took the survey. They also promise that they won't use the information in setting insurance rates. $25 for 5 minutes of my time? Fair trade! Thanks USAA! 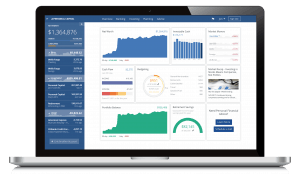 ← USAA Invests in Personal Capital – Should You? Thanks! I really enjoy this blog. 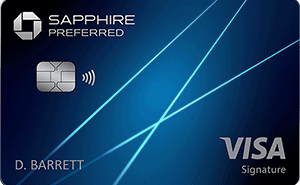 Are you planning to write something about the new offer and benefits from the AMEX Gold card? Thanks Spencer! This put a little gas in my car!